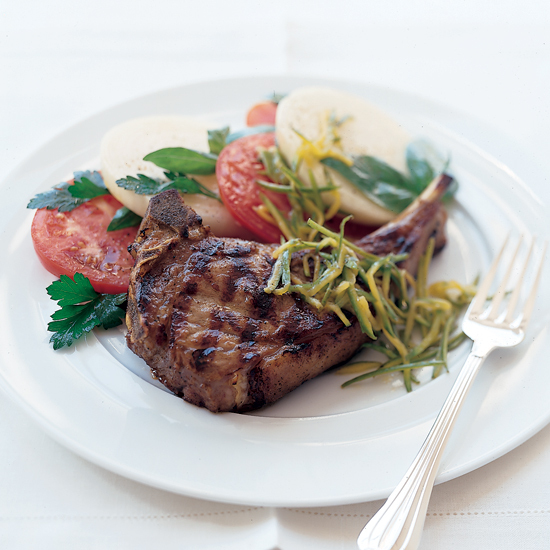 Pan-fried veal chops with mushrooms and cilantro and veal chops with tomato and green mango salad are just a few of the delicious veal chop recipes featured in this gallery. 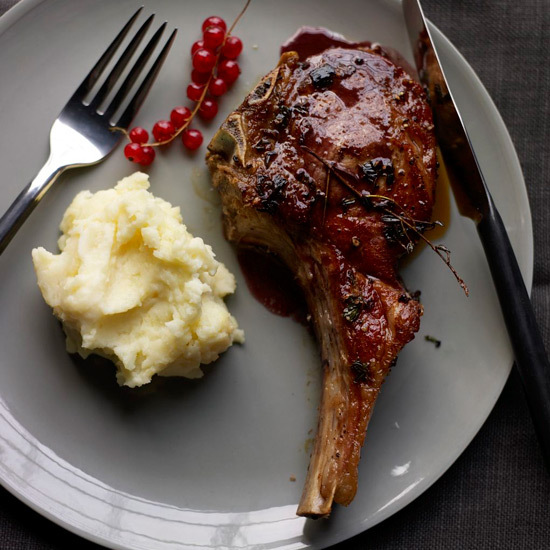 "Grill masters all over the world have noticed that when you grill a piece of meat and then anoint it with some kind of fat, it mixes with the meat juices and creates instant sauce," Steven Raichlen says. 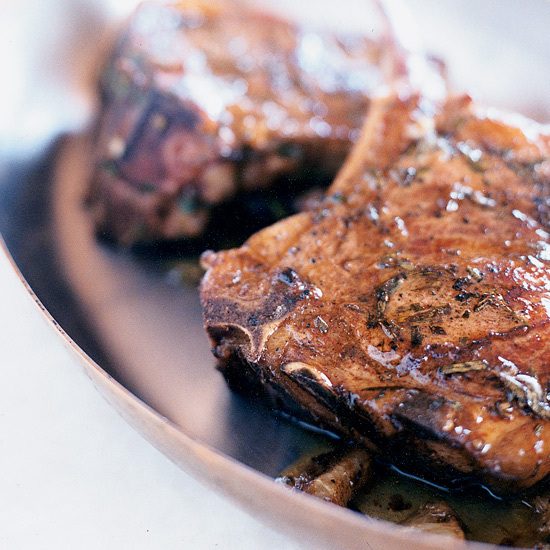 "At Peter Luger Steakhouse, in Brooklyn, steaks get finished with a pat of butter; other places use beef tallow." 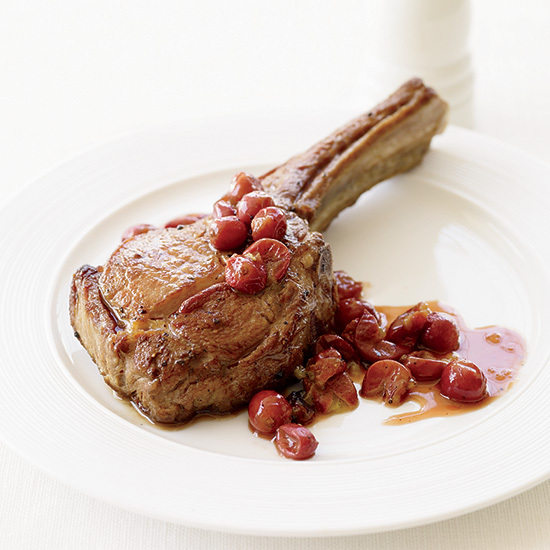 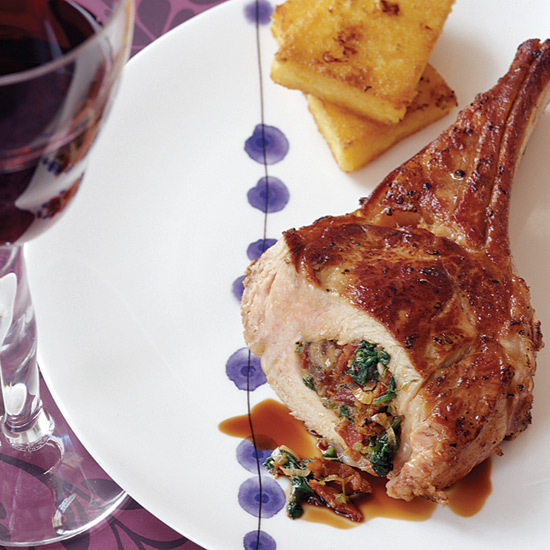 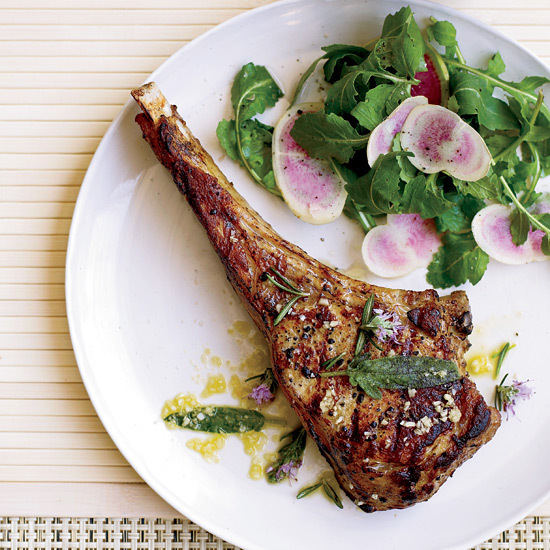 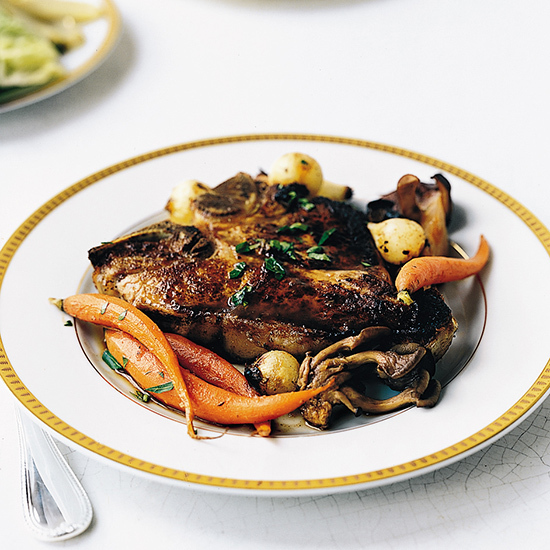 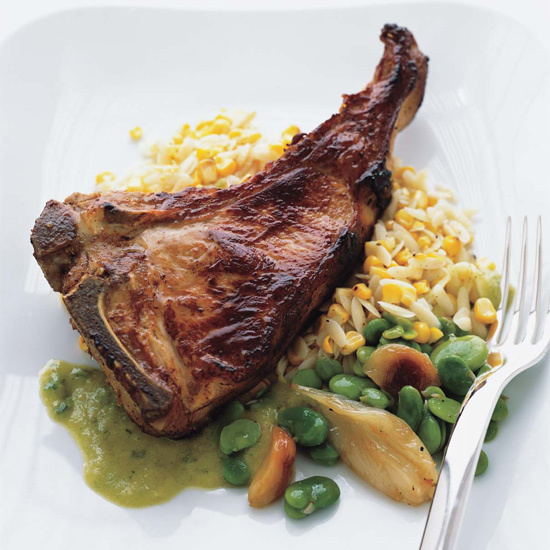 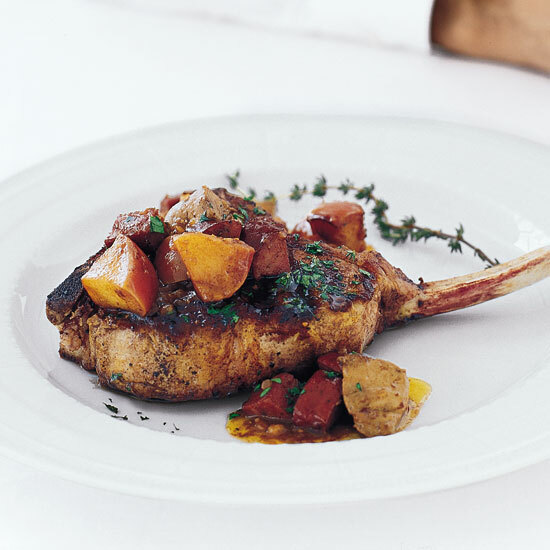 In Tuscany, olive oil is the fat of choice for finishing herbed veal chops like these. 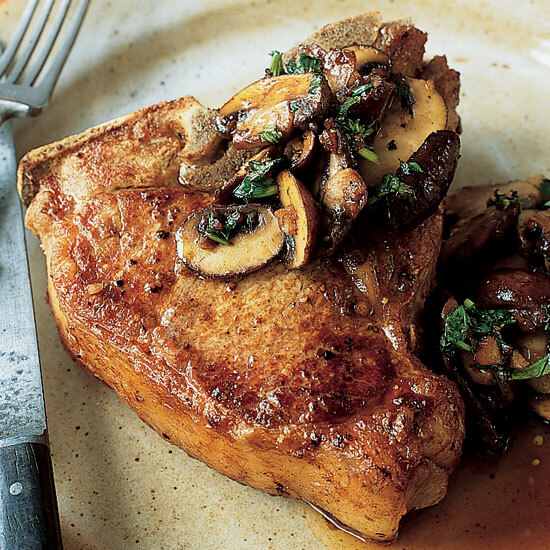 These luxurious chops, stuffed with a brilliant combination of sliced mushrooms, sausage and pecorino, can only be improved by one thing: a side of crispy and creamy fried polenta.